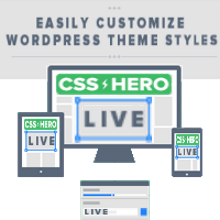 The majority of WordPress themes focus on design aspects to the detriment of better practice core theme coding. On the other hand, some theme frameworks provide far better core coding, but are often too bare and thus time-consuming to style to your design needs. To top it off, either of these approaches can be at the cost of having few or no theme options available for the end user, making it difficult (or expensive) to utilize their real potential. This layered approach makes it easier to visualize the different layers of a website structure that ultimately make up the <BODY> of any Wordpress web page... and when it comes to implementing design and development - simple or complex - a little clarity goes a long way! Knowing where to find what layer for your design and development more intuitively in this way can save you hours of trudging through complex theme templates and functions just to tweak those little things. To achieve all this, BioShip uses the Options Framework Options Framework OR Titan Framework OR the WordPress Customizer API to make everything modular wherever possible, allowing you to use what you want and dispense with what is unnecessary for your project with a few clicks, saving you time and hassle which you can devote to your design and styling. But more than this, BioShip has one-click Child Theme creation capability, making instantly creating Child Themes a breeze... And not just that, because it has extended compatibility integration with the Theme Test Drive plugin, you can preview and modify BioShip or any BioShip Child Theme live - without affecting your currently publicly viewed site. This has great potential implications for designers and developers, allowing you to setup and customize a new Child Theme for the BioShip Framework without the need for a development sandbox, something traditionally difficult in WordPress. In fact, this feature was developed specifically for converting existing live site designs to the new framework with the least hassle, and now you can benefit from the same advantage. AND, after much ado (read that as "lots of complex PHP and jQuery coding"), BioShip now fully supports use of the WordPress Customizer Live Preview callbacks for all it's options, so you can see the effect of any changes to your Theme Options in the Customizer instantly! While personally I prefer using the full-size Theme Options page than the Customizer panel, it is nice to have the Live Preview feature available for customizing certain style options. 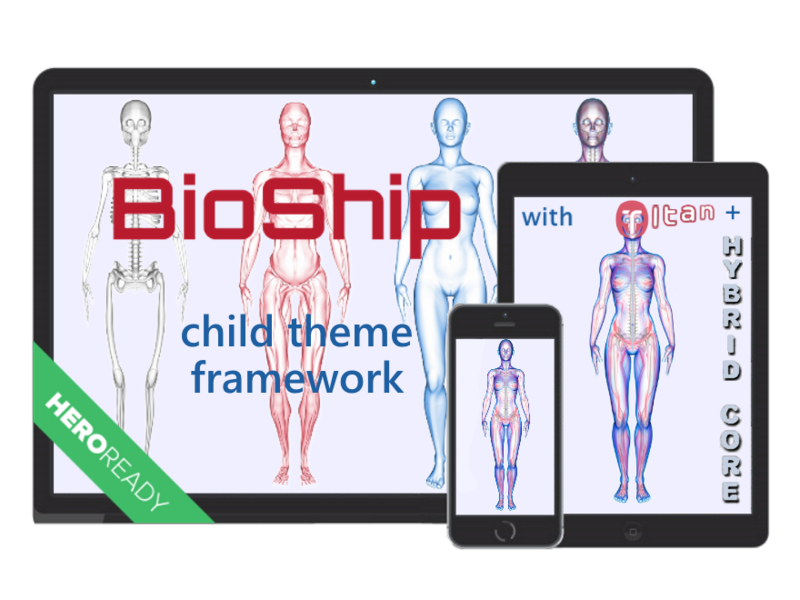 🙂 See the installation instructions for simple step-by-step to quickly install BioShip, create a Child Theme, and Live Preview your new theme. The basic templating of BioShip started as a fork of the Simple Skeleton Theme, which in turn was based upon the responsive Skeleton Boilerplate, but has grown well beyond that humble start into a strong bare-bones Parent Theme in it's own right. Simple Skeleton is a WordPress starter Theme which brings this boilerplate (grid and styles) into Wordpress with some good theme functionality without getting too complex or overloaded, making it a fairly lightweight theme. BioShip has extended upon this foundation to put all the missing "bones" snd so-forth in place... to fill the missing gaps (eg. menus, sidebars, hooks, filters etc.) that weren't quite all there with the original Simple Skeleton - so you could say in comparison it now has a complete skeleton. BioShip has extended the basic Skeleton grid system further, by comparing and optimizing a number of existing grid boilerplates (ie. Skeleton, 960GS, Blueprint, Foundation, Bootstrap.) By combining these systems and calculating width rules dynamically, you can now use 12, 16, 20, or 24 columns - for both the template and within content areas - instead of being limited to a set number (dependent on the boilerplate used.) Plus for screen size support, it adds mobile breakpoint queries (at whatever and however many widths you like!) And for improved mobile support, it auto-hides sidebars and navigation (with expander buttons) on smaller screens. This also means, no more need to use shortcodes to create a column-based layout for your content - you can just use the grid column classes in your content with <div> tags setting the number of columns. Familiar with a different grid syntax? With the check of a box you can automatically add content grid compatibility classes for 960 Grid System or Blueprint grid boilerplates. Plus if you prefer, just turn on the loading of Foundation by Zurb to use the Foundation Grid (v5 or 6) instead. See the Grid System documentation for more details and usage examples. Want even finer grained control? No problem. You can replace any of the contextual sidebar templates to call custom sidebars in your Child Theme, and/or use the in-built sidebar filters to override any of the templates (or their widths or positions etc.) on a conditional basis - for example, setting up specific sidebars for Custom Post Types. You can also override the display of sidebars on a per-post or per-page basis via the Theme Options metabox on the post writing screen. 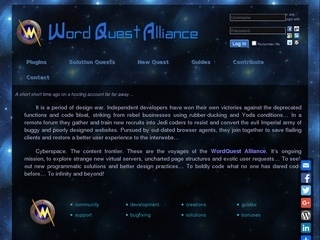 See the Sidebar Guide documentation for more details. Another extension you can add to your layout areas is using the Content Sidebars Plugin. I have made this extension available as a separate plugin so that it can be used with any other Theme, but the default settings are in place and ready-to-go for BioShip. It adds extra sidebars for use above and below the content area, via shortcodes, a login sidebar and logged in user sidebar fallback options. It also has in-post sidebars available for use with auto-spaced contextual advertising blocks. Truly the easiest way to expand your marketing, navigation and call-to-action options. After some looking around at the available frameworks and libraries out there, one real standout is Justin Tadlock's Hybrid Core, a lightweight extension library for Wordpress theme functions that includes cool things like improvements to the Template Hierarchy, integrated HTML5 and Schema.Org markup, and an Advanced Page Loop... plus a number of other awesome improvements! The advantage of BioShip in it's implementation of Hybrid Core is that in sticking with it's modular approach, loading the Hybrid Core library is entirely optional - as are all the included Hybrid extensions. Use what you want and turn the others off. Or don't load it at all - it certainly does work better with it though! 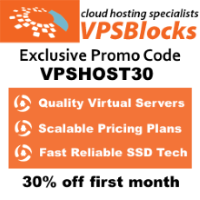 For more information on available extensions and integrations, and some further plugin recommendations, see the Extensions page. Having these theme-related functions in-built into the theme cuts down on the need for lots of those small plugins just to "do the little things" like adding custom CSS etc. Page Builders - a complete horror story if you ever switch themes - these should be plugins only! Yes that's right, still stretching the anatomy metaphor for all it's worth..! Since tendons are what hold the muscle and bone together - in this case the functionality and the layout - this means deeply integrated (and sometimes complex) coding to allow for custom function, file and template overrides. It also means making all the theme's layout action hooks and conditional value filters available for advanced customization. But it doesn't stop there, if you want to use your own custom implementation of any particular theme function, effort has been put in to make every theme function "pluggable" (overrideable)... 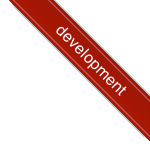 Simply declare your alternate function (using the same function name) in your Child Theme's function.php file and it will be used instead automatically - and without fatal error conflicts. 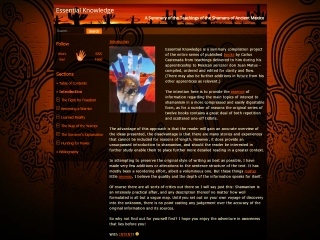 See the Child Theme documentation for more details. 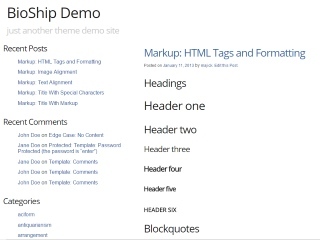 Similarly, all post and page templates (including headers, sidebars and footers) are handled within BioShip by the extended Hybrid template hierarchy (with further improvements), allowing you to override any of those as you see fit also. It also allows you to add custom templates for different conditions such as for any Custom Post Type or Post Format - or combination of the two. (Note: to prevent potential conflicts, whether you activate the main Hybrid Core or not, the advanced Hybrid template hierarchy is still used.) See the Template Hiearchy documentation for more details. Having sufficient layout action hooks allows designers and developers to easily add page content or new page elements exactly where they are wanted. This means above or below any page element, and/or within specific page contexts such as a single page/post or an archive type. Or want to switch things around a bit? You can also reorder any of the existing page element positions as desired through in-built position filters. See the Layout Hooks documentation for more details. On a similar note, having conditional value filters in place allows for even more intricate customization for developers without having to completely hack a theme or reinvent the wheel. I have put a LOT of filters in BioShip, with provided examples for each filter, letting you override or tweak just about any option within the theme on a conditional basis. Basically you can change anything for any possible page. 🙂 See the Value Filters documentation for more details. And at the same time, since all the default presets already work well already from the outset (having been tested extensively on numerous sites (both my own and for client's)... if you like you can just leave all the extra complexities alone and leaves things "as is" to focus your attention on your design or writing instead. 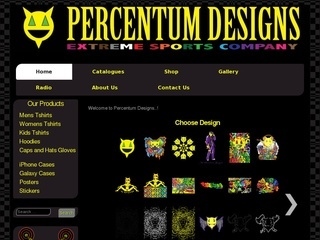 Also, check out the Demo tab to see examples of what can be achieved using minimal customizations to create diverse skin variations that provide for a clean and fast-loading overall site design. Please keep in mind that this is intended to showcase the flexibility of the framework, not my artistic design skills in particular. My coding skills are far better than my page styling skills - simply because I have spent much more time coding than styling, and the same is reflected in some of these sites. Download BioShip and try it out. It likes you and wants to be your friend. Hopefully you will like it back and be friends. Okay got it, but how do I..? Got more Questions? Want more Answers? Righto, check out the Frequently Asked Questions page, where I will attempt to read your mind by presupposing and guessing what you might ask me in a static one-sided format, while possibly being mildly entertaining at the same time. Or not. Lost? Confused? Have Issues? Need Support? Okay, first try clicking this link. Okay, just one more question...? Yes, you in the back, what's that? Was I on crack when I wrote this last introduction page? Hahaha no, but after 10-12 hours coding every day for over a month you'd be a bit delirious too, so cut me some slack eh. I think it's funny so it'll probably stay up like this... Anyways, enjoy BioShip!